This Article Has Been Shared 1652 Times! It will be great to have some yummy fruit icons on your Windows 7 PC or Mac desktop. 16 Windows icons in Mac OS X style. The package includes 9 folder icons and 3 extra icons, which are alternatives for Explorer and Computer icons. 15 high resolution Android style icons for Windows and Mac with PNG files. This Android OS specific set contains 44, 125×125 icons in .PNG format. Some of the icons have alternates. PNG icons can be used for Windows too. Hello, I like your windows transparent colors. 1.How do i use them? 2. Do you think i could use them in some other program say for example a bank soft ware which uses web colors? You need to replace the system file manually. Before that you have to take ownership. can u pls post the stem by step procedure for installing these???? pls…. 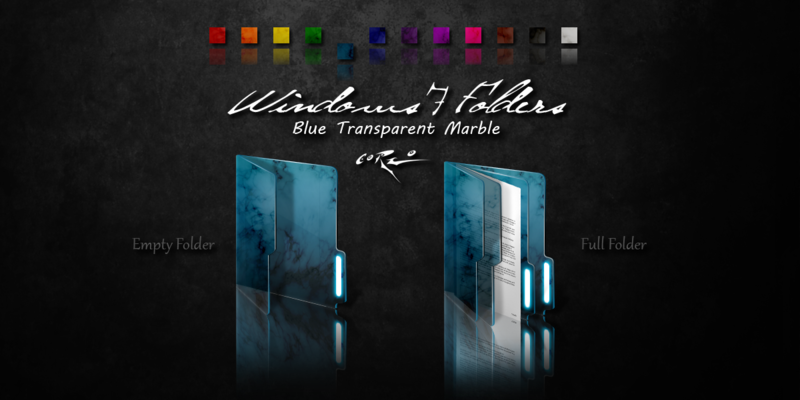 Cite this article as: Abhishek Ghosh, "Transparent Windows 7 folder icons with marble like effect in 12 colors," in The Customize Windows, April 2, 2011, April 20, 2019, https://thecustomizewindows.com/2011/04/transparent-windows-7-folder-icons-with-marble-like-effect-in-12-colors/.